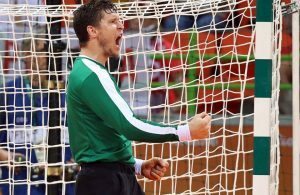 The resilient Montenegrin team have shown their character and defeated Sweden 28-30 on the first match for both on the main round in Nantes. The Balkans’, who have reached this stage with 0 points, are now starting the uphill battle to the semifinals, for which not only they will need two more victories, but also some luck with other results in the group. With an outstanding performance by team captain Jovanka Radicevic, Montenegro started off better on this match against the Scandinavian squad. In an entertaining match, from beginning to end, Sweden always ran from behind. The first big goal gap was on the 23rd minute of the match, in which the Balkans built a +6 advantage (8-15) thanks to a 3-0 unresponded. CSM Bucuresti’s right wing scored 6 of her 9 goals in the first half and contributed to the 14-18 lead from her team at the end of the first 30 minutes. On the second period, the team commanded by Per Johansson maanged to stretch the goal difference again and by the 19th minute they were leading by 6 (19-25). At times, Sweden’s attack was not patient enough to crack the Montenegrin defense, which looked compact and coordinated; but when they did, they would find the goal mainly through Isabelle Gulldén. Hanna Blomstrand’s long range shots were also helpful to catch up in the scoreboard. Marina Rajcic displayed a good performance under the posts of the Montenegrin goal and finished the match with a 38% save rate. On the 27th minute Daniela Gustin received a dangerous foul by Milena Raicevic while running alone in a fast break. Although it may have not looked too tough, the foul was enough the make Gustin loose stability and fall to the floor in pain, after having scored the goal that shortened the gap to 3 (25-28). She was sidelined and received attention for what it looked like an injury on her right knee, for which she would later be taken away in a stretcher. The Greek referees gave Raicevic a 2’ suspension for a foul that could’ve well been revised for a tougher sanction. In the end, Sweden’s efforts to turn the scoreboard in their favor were not enough as the time run out. The final result could’ve been 29-30, but Lubica Nenezic denied a penalty shot to Gulldén who had scored all previous 4 shots. Raicevic was awarded best player of the match, while the top scorer was Radicevic with 9. Gulldén was top scorer of the Swedish squad with 7. Swedish captain Sabina Jacobsen lamented the lost opportunity to earn two valuable points in the opening match of the main round: “I think we started bad, we didn’t play good and we didn’t score all of our chances. I think the last 10 minutes we came back and played much better but it was too late, we should’ve started like that instead”. When asked about what were the things that complicated them the most during the match, she was very clear: “I think it was our own things, we didn’t do it all to 100%. I think in the first half we had a lot of chances but we didn’t take them and we didn’t score, and then of course we didn’t stand together in the defense and we didn’t stick to the agreements, to everything we had talked before. Now we need to go home and focus, France can be really hard of course, on Saturday, but all focus is on them now and we need to have the attitude we had in the last ten minutes of today’s match”. 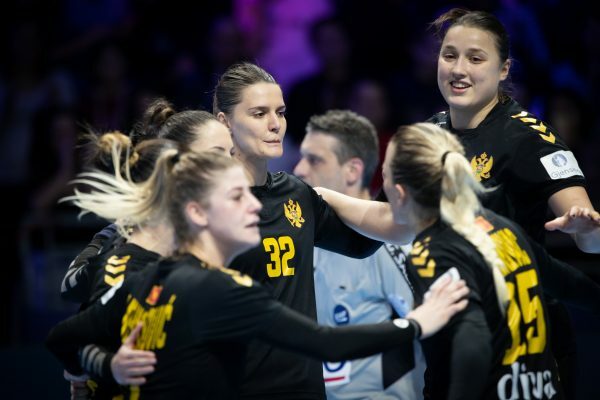 Jovanka Radicevic was happy about her personal performance, however she was even more satisfied with the team’s result, as they have arrived to Nantes with 0 points: “I have to be very honest, it was really hard for us (to come with 0 points) because when we lost to Russia it was very hard for us and we didn’t have so many days to rest or to recover. In the game against Russia we didn’t have luck in the end of the game, and then we tried to find our chances against France but of course we couldn’t. But we spoke to each other and said that we didn’t have time to be sad, that this team has character, that we believe in each other because we’ve been together for so many years. We know that these two games against France and Russia were not our best games, I think out group was the hardest because we had the World champions and the Olympic champions. But I’m proud because we came to the main round with 0 points and everyone looks at you as if you were not strong, but today we showed that we have big character, that we have heart and everything is possible”. On Saturday, Sweden will face France and Montenegro will have a three rest before they meet Serbia on Monday 10th.